The BLDC 24V Motor Control Kit is a low voltage Brushless DC (BLDC), Permanent Magnet Synchronous Motor (PMSM) motor control starter kit. 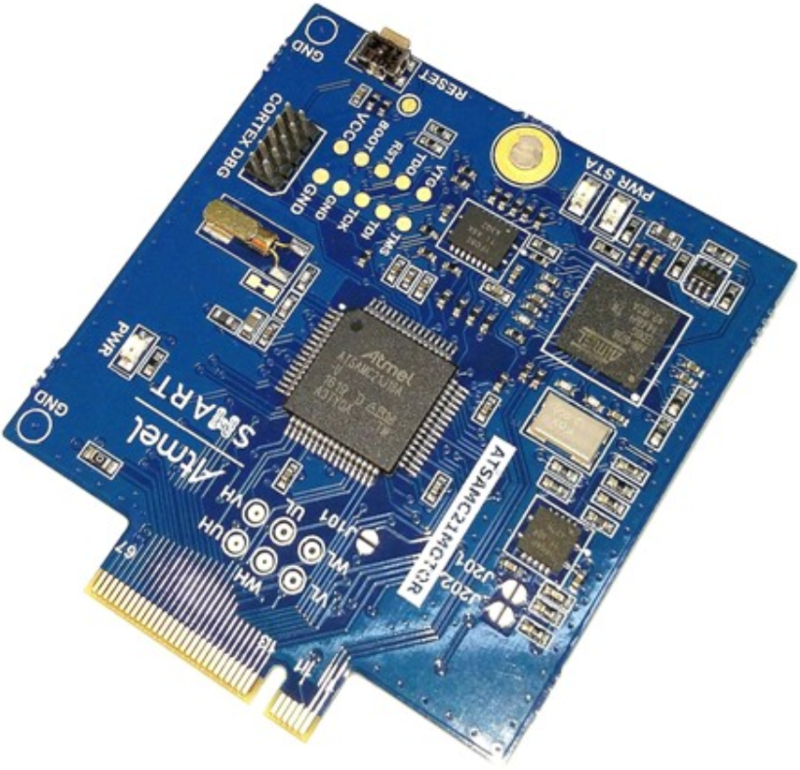 The kit contains a driver board hardware with half-bridge power MOSFET drivers, current and voltage sensing circuit, Hall and Encoder interface, fault protection circuits, etc. 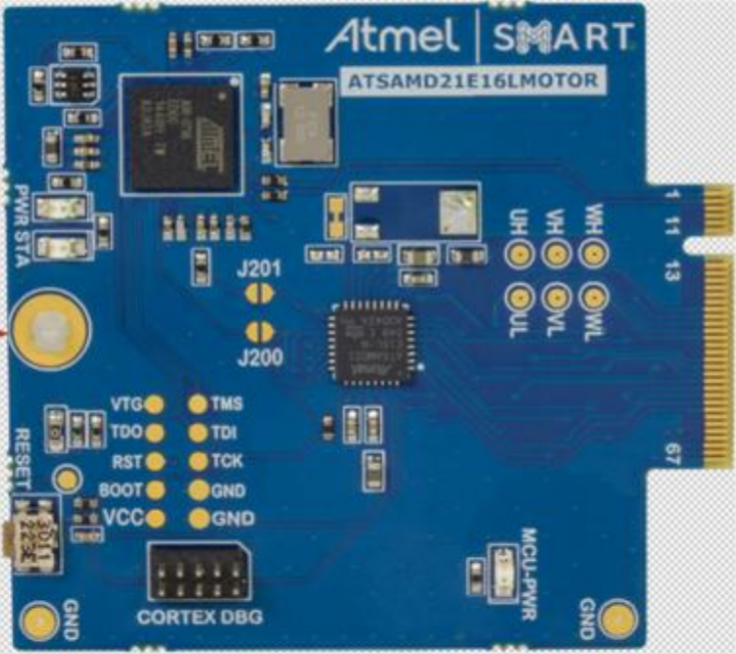 The ATSAMD21MOTOR MCU card (included with this motor control kit) is plugged into the driver board and has an on-board debugger. 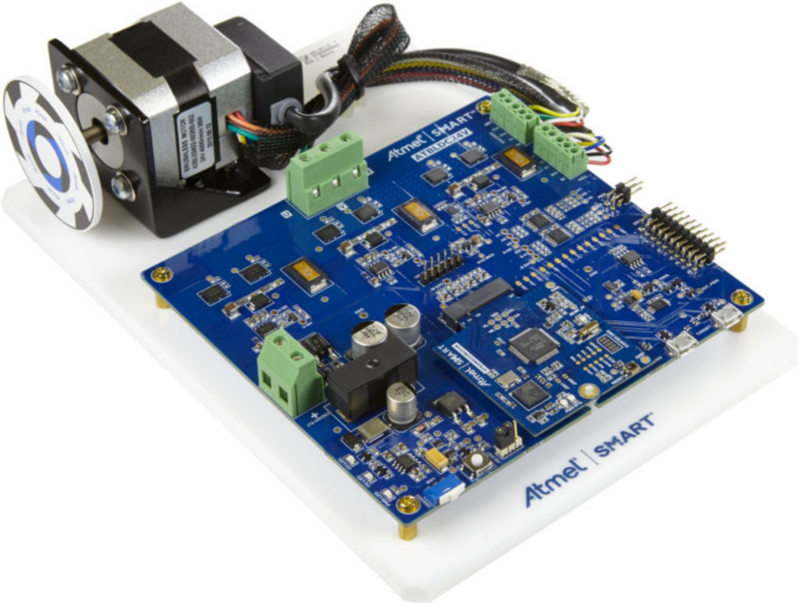 The SAM D21 Motor Control Card uses an ATSAMD21E16L MCU. This board comes with this BLDC 24V Motor Control Kit.